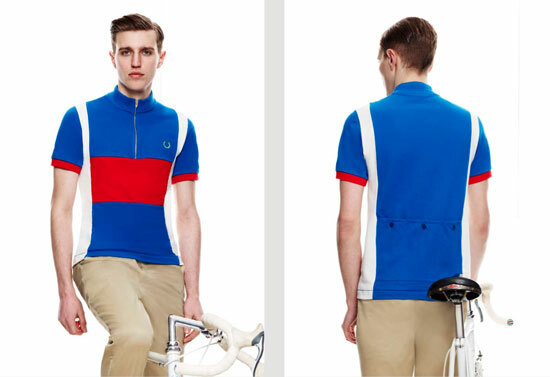 A new, mod-inspired range is about to launch from Fred Perry, with the Fred Perry x Cycling Blank Canvas 2012 collection also available with an exclusive Modculture discount. 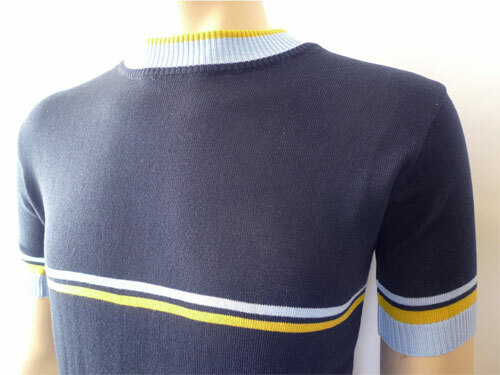 It’s a follow-on from last year’s very popular cycling top range, once again using the mod-friendly cycling top, but with some added accessories too. 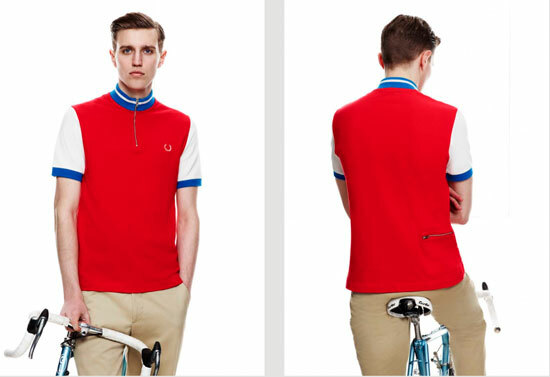 In fact, the newly-expanded range consists of five cycling shirts in the classic 100 per cent cotton Fred Perry pique all with zipped down plackets and with detailing including rear button-down pockets, rear zip pockets, zip funnel necks, colour blocked sleeves and ‘cut & sew’ colour blocked body panels. 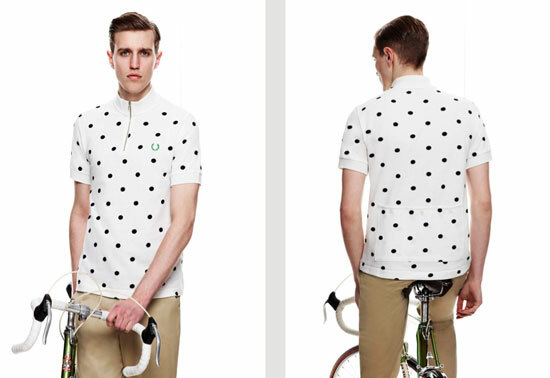 The polka dot print cycling shirt has a zip funnel neck and three rear pockets with button fastenings. 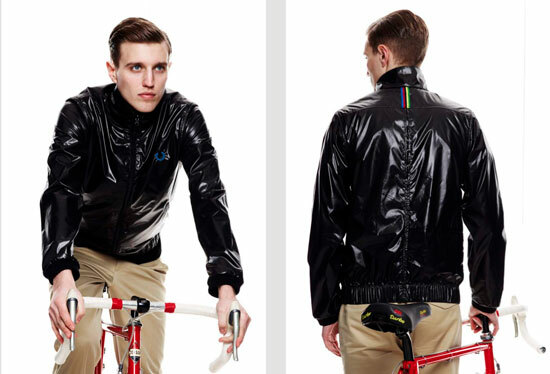 On top of that, Fred Perry has also produced a nylon cycling jacket with reverse nylon coil zips, front and rear zip pockets and ‘championship striped’ tape on the back yoke. 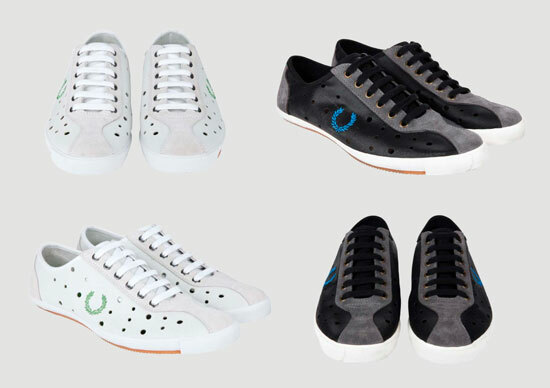 There’s also a new unlined leather cycling shoe with a perforated upper for ventilation in both black and white, plus a ‘cycling dispatch’ messenger bag with heavy duty polyester webbing straps. 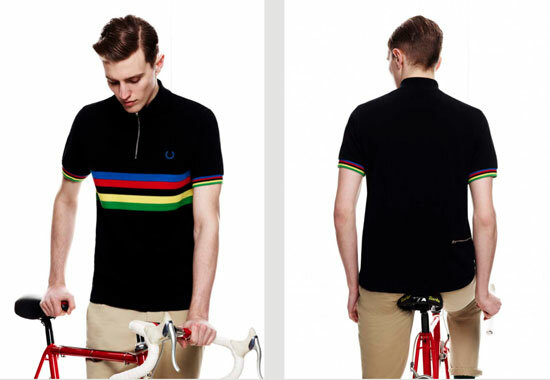 If you fancy any of it, the range is available online and from wider retailers from April 2nd, but it is available exclusively from 29th March – 1st April at the Manchester Laurel Wreath shop and Seven Dials shop in Covent Garden, London. 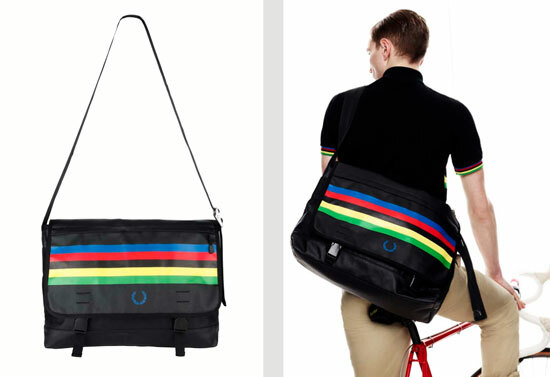 Not only that – you can get a 20 per cent discount from that stores during that period. 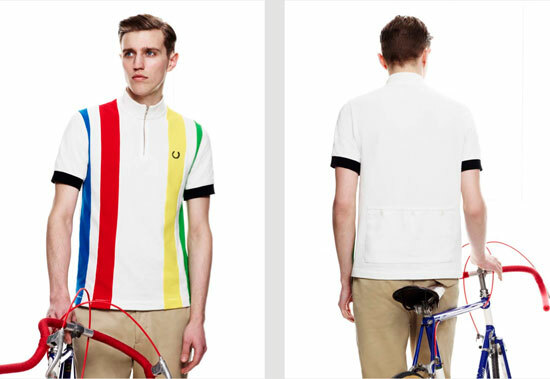 All you have to do is print out the promo page or show the page on your phone in the Fred Perry Laurel Wreath shops at Seven Dials, Covent Garden or Police Street, Manchester. 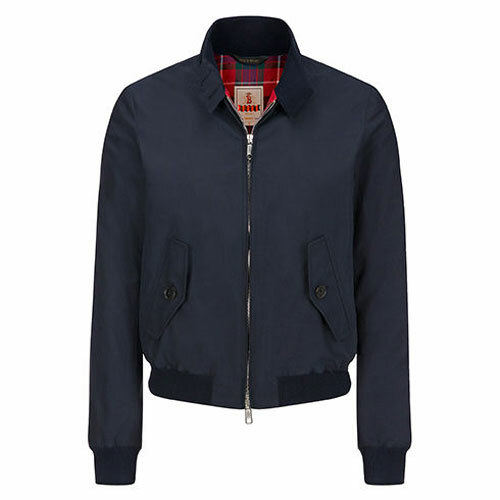 You must go into one of the shops though, as the 20 per cent discount is not valid online.